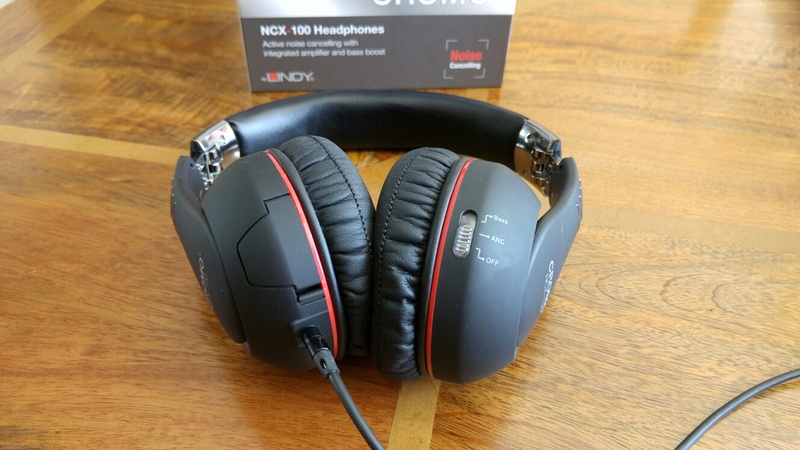 Welcome to my review of the Lindy Cromo NCX-100 Active Noise Cancelling headphones that come with an integrated amplifier and bass boost option. I have been using/testing these headphones for a couple of months now. You can see from the first photo, on the left side is the headphone cable with in-line mic which can be removed for safe transit and the battery compartment for 2 x AAA batteries. The opposite side has a slide switch to select from off, active noise cancellation or bass boost. Lindy also supply a hard case for travel/transit which is superb. You also get padding as shown in the photos. A carabiner clip, flight and 6.3mm adapter is also supplied. All this for £100! The features of these headphones start with the 40mm high output drivers with neodymium magnets, an integrated 5 Watt amplifier with an optional 10db bass boost and active noise cancellation using 4 microphones which removes according to Lindy up to 95% of external noise. The headphones also work in passive mode and includes an auto power off. 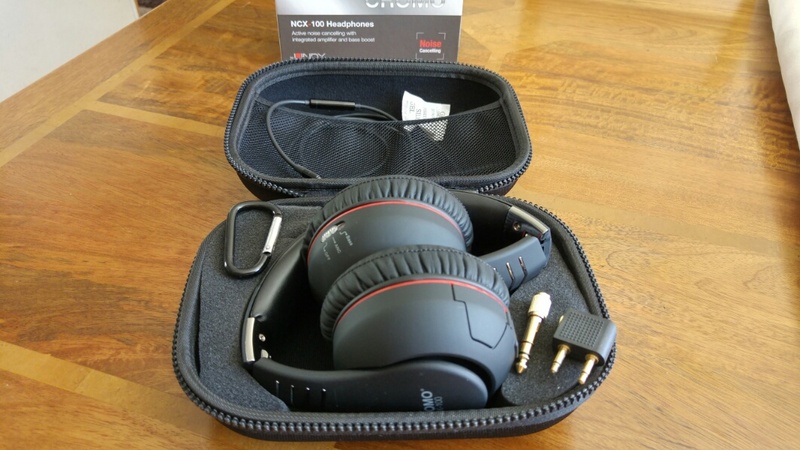 These headphones have also won several awards – AVForums BestBuy, HiFi Choice Recommended and Loaded Recommended. After using these for two months now, it is easy to see why these headphones won so many awards. For starters these are super comfy to wear, sound really good across a wide range of genres and are protected in a hard type case whilst in transit. On average I found the batteries would last for around 20 hours music playback. Once the batteries run out, you can continue listening to your music in passive mode. With active noise reduction switched on there is a slight hiss, which is noticeable in a really quiet room. The sound is well balanced with just the right amount of bass. Not enough bass, just switch on the bass boost. In this mode, I really was surprised at just how much bass was possible with certain tracks. Lindy claim that in active noise cancellation mode up to 95% of noise is removed. This is probably about right. I tried listening to music with the washing machine running loudly and I could only hear the machine occasionally. My advice with these headphones is either to find a source of low cost AAA batteries or invest in some rechargeable AAA batteries. 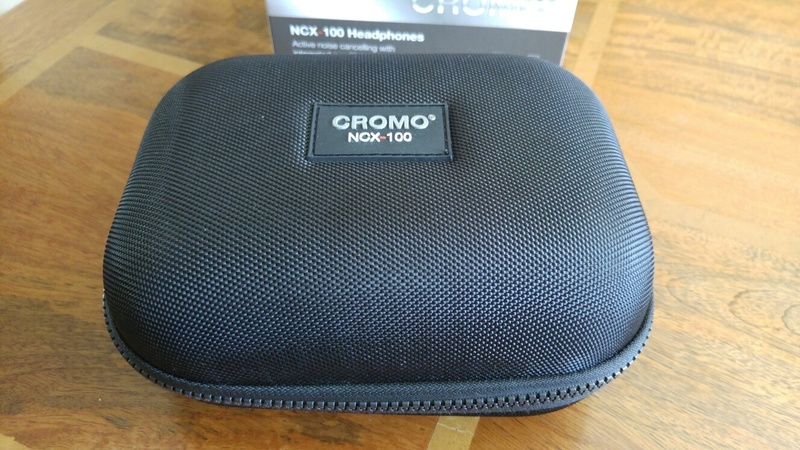 Other than having to keep changing the batteries, I cannot find fault with the Lindy Cromo NCX-100 headphones. Highly recommended.